This amazing image is by photographer Rachel Craig, who hails from Charleston, South Carolina. She's also a Registered Nurse who enjoys rock climbing. Typically, her photography has specialized in capturing details of couples' relationships - documenting engagements, weddings and all the special moments therein. But on this day, the focus was on the relationship between man, fire and steel. We've all watched the shower of sparks emanating from the forge like a miniature orange fireworks display. The first hammer blows are always the most spectacular as the steel is red hot and the slag releases easily. So, as with all action photography, there are only a few milliseconds' worth of opportunity to get the perfect shot. And this one is it. 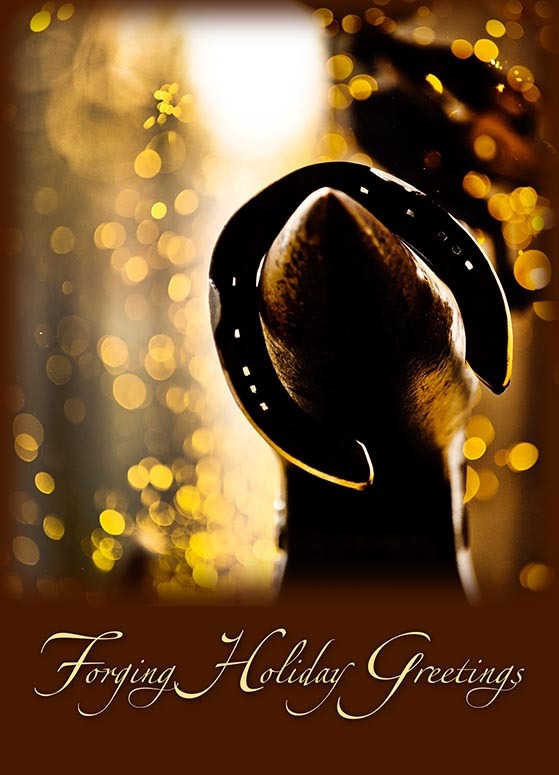 Here, the sparks in the background have morphed from fireworks to moody holiday lights and the horseshoe is showcased on the anvil's horn - a perennial symbol of well-wishes and goodwill.